When you set up writers, the most important is to specify the output files to which data should be written. Double-click the SpreadsheetDataWriter component. Click the File URL attribute row in the component editor. After that, a button appears in this, click the button. 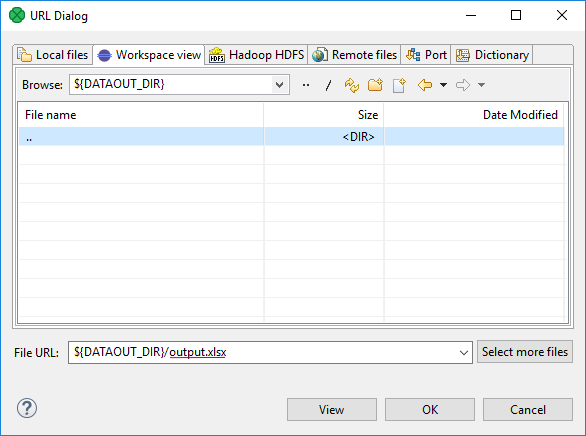 In the File URL dialog, select the output directory and enter the file name. Click OK to use the new component configuration. You have created a (transformation) graph, use Ctrl-S to save it. The graph is ready to be run.